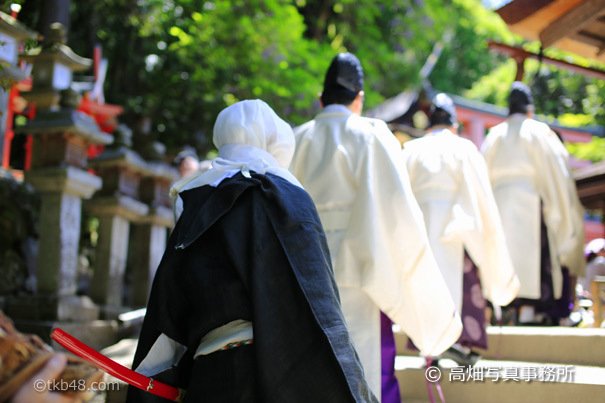 【薪御能】僧兵の面影、興福寺衆徒と春日大社神職　Army monks and Shinto priesthood of KASUGA. The firelight Noh, performed in Kasuga-taisha shrine at morning. This photograph is Army monks of Kohfuku-ji temple and Shinto priesthood of KASUGA. He has a sword with red cover.